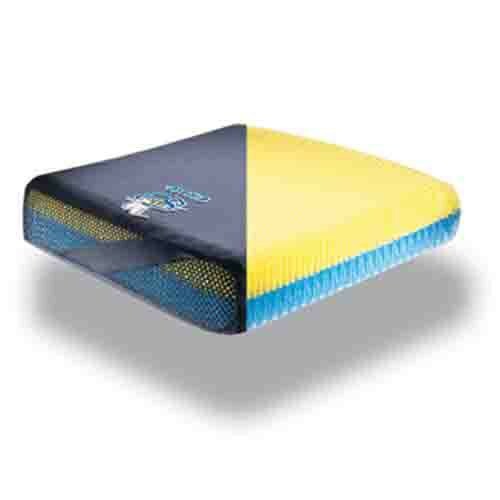 Stimulite Corbee Pediatric Seat Cushion, constructed by Supracor, is a plush cushion that guards children from harm with regards to decubitus ulcers, more commonly known as bed sores or pressure sores. The Stimulite Corbee Pediatric Seat Cushion functions by providing optimal pressure relief, reduced shearing, and ventilation to manage heat and moisture. Dissimilar to other chair cushions, the Stimulite Corbee Pediatric Seat Cushion features a honeycomb design that uniformly distributes weight and hugs the contours of each child's unique anatomy. Additionally, this seat cushion is suitable for children that may have disabilities. In addition to complementing a wide variety of variables, the Stimulite Corbee Pediatric Seat Cushion weighs a mere 1 to 2 pounds. Similar to other seat cushions, this Supracor cushion is great for recreational activities and everyday use. As with the entire line of Supracor cushions, the Stimulite Corbee Pediatric Seat Cushion is machine washable and easy to give care. To successfully mitigate discomfort and prevent decubitus ulcers, pressure sores, order this long-lasting, yet comfortable and supportive seat cushion for your child today! Perfect cushion for recreational activities and everyday use. Provides pressure relief, support, and superior comfort. Ventilation to manage heat and moisture. Product Numbers: PD1010, PD1212, PD1414. I am using the pediatric wheelchair cushion in the seat of my riding lawnmower. The core of this cushion has greatly reduced the jarring impact to my back while riding on the mower. The cushion is strong yet definitely provides comfort, and meets the need I was hoping for.